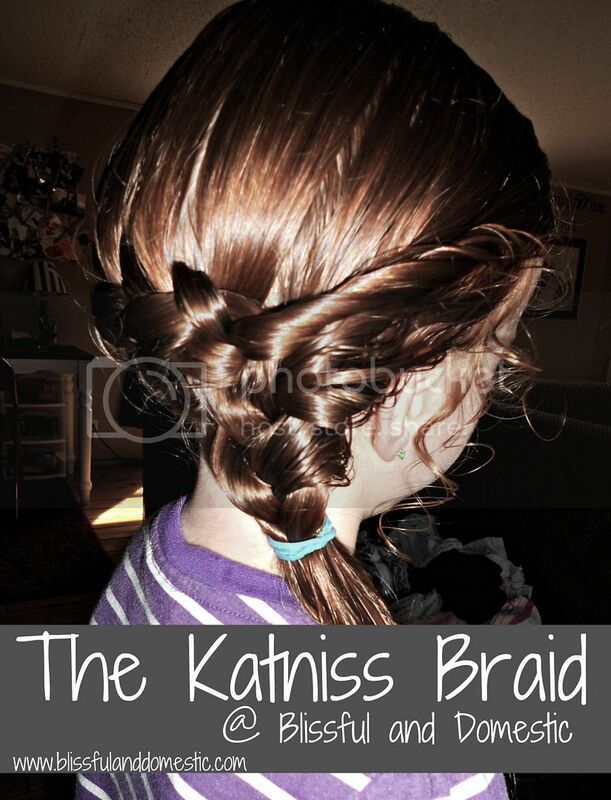 So now this braid is of course after the ever lovely Katniss from The Hunger Games. I have literally seen this hairstyle ever where and am so in love with it. It is seriously my new favorite hairstyle. So simple and takes very little time. 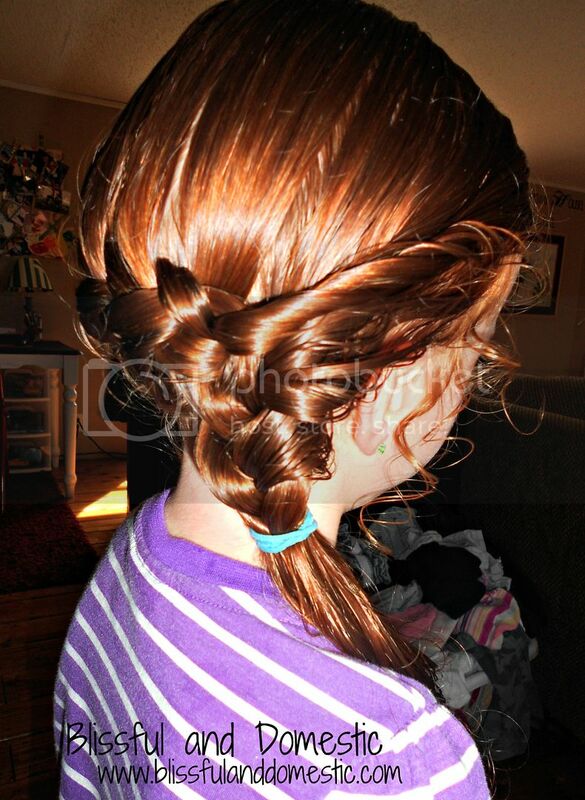 I so love this simple fun braid she has in the movie and decided to try it out on my little Miss. I don't have a step by step tutorial through pictures, but I do have it in writing. I hope this explains it easily enough. Let me know if anything is murky and needs more pictures and explaination. I hope these directions are easy to read and follow. If you need more clarification drop my an e-mail. Have fun trying out some new fun with your hair today. Oh and have a fabulous Thursday!! 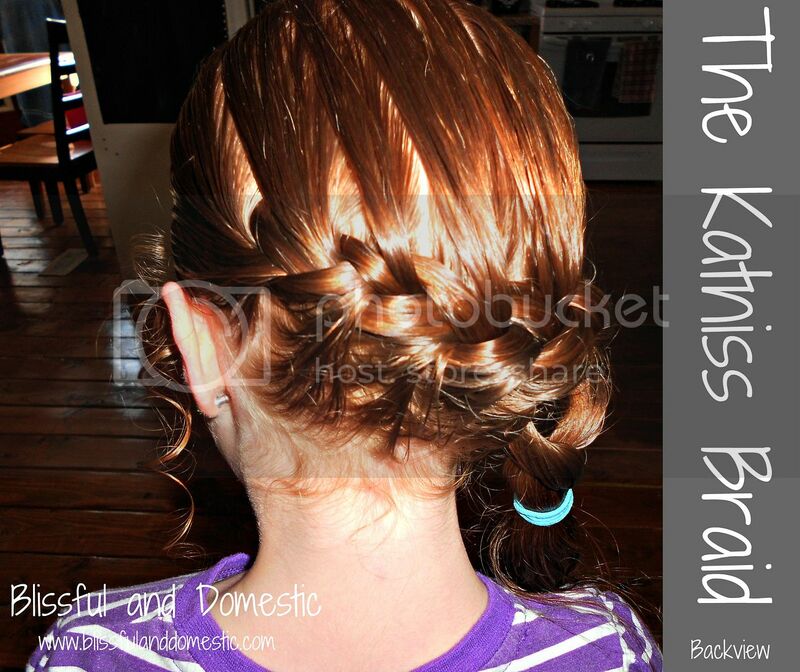 Last year I did a Hair Week to show off fun summer hairstyles, tips, tricks, and accessories. I am thinking of doing it again. 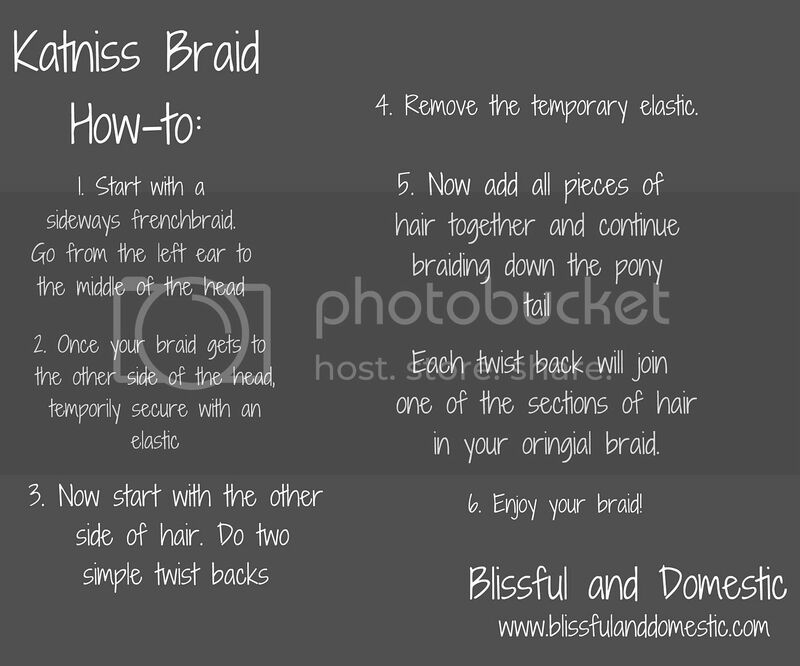 Any takers on wanting to be a guest here on Blissful and Domestic during hair week? It could be fun! Let me know. I'd love to have you. No matter how big or small your blog is. I love sharing everyone's ideas. I'd love to have you! aw that is so cute. I wish I could braid. My poor daughter gets pony tails. Great job! Pinterest certainly has wonderful things! Thanks for becoming a Follower of my Blog. I am happy to become a Follower of your Blog. Have a good day. Thanks for stopping by and linking up to the Mingle With Us Blog Hop and following my blog. I am already a follower of your blog, and I love it! 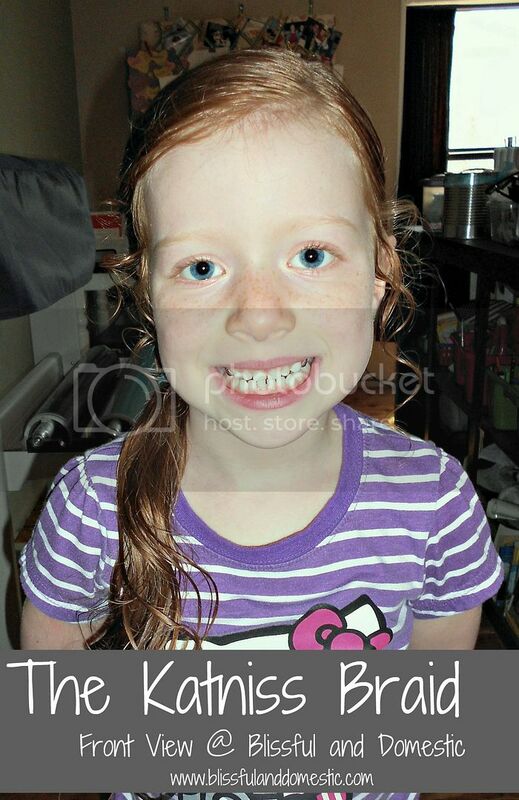 My daughter is sitting here asking if I can braid her hair this way. We're going to try it tomorrow. Thanks for the idea! Now that is so cute! I'll have to try this one on my girls! Happy early mother's day!